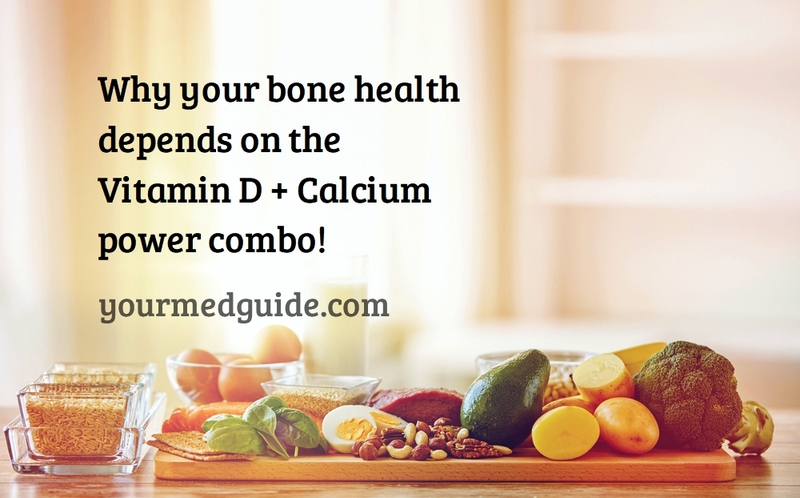 Calcium and Vitamin D come together to make the power combo – they are the duo that guard your bone health. You need adequate calcium in the diet to prevent bone loss and avoid the risk of osteoporosis, a condition where the bones become weak and brittle. Your bones become more prone to breakage even with minor falls. Most people don’t get enough calcium through their diet. In fact, women are more likely to develop osteoporosis than men (though men are not excluded). Yes, I know that sound unfair but this is because women get less than half their daily calcium quota. What is the daily quota? This depends on age and gender and includes the calcium via diet. When do you need more calcium? Calcium also has a role in many physiological activities that appear unrelated to bones and this includes blood clotting, nerve conduction, muscle contraction, regulation of enzyme activity, and cell membrane function. Obviously, these are crucial to health and the amount of calcium in the blood is tightly controlled to make calcium available for these activities. What if you don’t get enough calcium through your diet? When the dietary intake of calcium is not enough to maintain normal blood levels of calcium, the body simply turns to the calcium stored in the bones to maintain normal blood concentrations. If this continues to happen, it leads to osteoporosis eventually. The obvious answer is from foods rich in calcium. Examples are low-fat milk, cheese, yogurt, broccoli and other greens, cabbage, lettuce, sesame seeds, green beans, garlic, oregano, basil, thyme, cinnamon, oranges, mushrooms, cumin seeds, cloves, coriander seeds, fennel seeds (sonf) and salmon. Calcium fortified products such as orange juice, cereals, and breakfast bars are also sources of calcium. Although you must make sure you read the label before you grab one. 30% DV of calcium equals 300 mg of calcium. Add a few spoons of nonfat powdered milk to your puddings and soups to increase the calcium content with zero impact on the taste. Another source of calcium is a calcium supplement for your daily requirement. Consult your doctor to find the right one for your needs. You may need to undergo tests to check your current levels. especially if you have a health condition and are taking medication. Just as I mentioned in the title of this post, Vitamin D and Calcium are the power combo. As you track your calcium intake, you must also track your Vitamin D intake. Vitamin D is a critical nutrient. It is the key that unlocks the door to calcium absorption in your body. This means that if you are low on Vitamin D, your calcium consumption will not benefit you as much as it should. It will simply go in at one end and out the other. You know what I mean. The good news, though, is that Vitamin D is easy to get. Sunlight encourages your body to produce vitamin D.
All you need to do is spend at least 15 minutes three times a week getting the early morning sunshine. Be careful about not getting scorched in the sun—that does not count. Also, the harsh ultra violet rays of the sun at any other time of day can do you harm in the form of sunburn and even skin cancer. If you cannot avoid going out in the sun, make sure you use lotions with the right SPF (Skin Protection Factor). In winter, it can be difficult to get enough Vitamin D when the sun doesn’t seem to want to get out of bed. During these times, check with your doctor for calcium supplements and multivitamins fortified with Vitamin D along with suggestions of foods rich in Vitamin D.
At least 400 to 800 IU per day if you are under 50 years old. If you are over 50, the recommended value is 800 to 1000 IU per day for both men and women. Remember that more is not better—too much of anything can work against you. Ideally, you should catch the early morning sun for your quota. Do not consume any supplements without consulting your doctor. The calcium and vitamin D combination in your diet is the best way to ensure bone health—so be conscious about getting enough of both. Also, remember: we must convert what we consume into energy and that means regular exercise, a healthy lifestyle, nutritious diet, and adequate sleep are important to stay healthy.